Brussels has today rejected the proposed rail merger between French firm Alstom and Germany company Siemens. The decision was criticised by the French government as well as the two companies. The European Commission said in a statement that the merger "would have harmed competition in markets for railway signalling systems and very high-speed train". It added that the two companies had failed to "offer remedies sufficient to address these concerns". 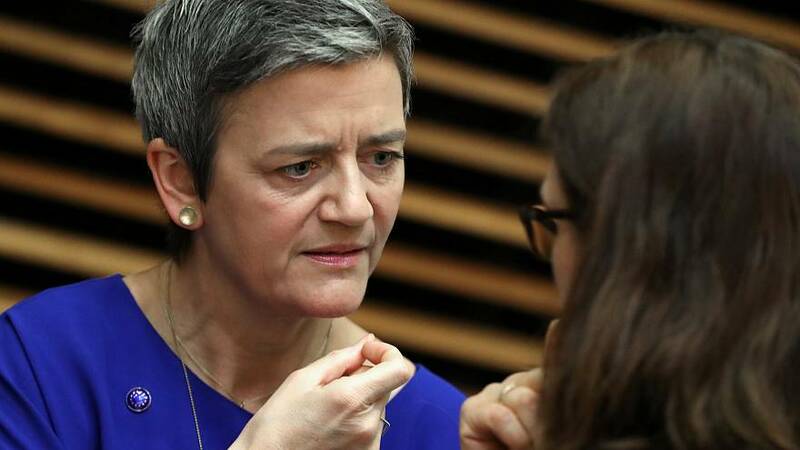 Margrethe Vestager, EU Commissioner for Competition, said that the merger "would have resulted in higher prices, less choice & innovation." What was the merger about? The proposed merger was first announced in September 2017 and was backed by both France and Germany as a way to establish a European champion to compete globally and in particular against CRRC (China Railway Rolling Stock Corporation) and Canada's Bombardier. The Chinese company was born in 2014 following the merger of two state-owned entities with the ambition to go global. In its 2018 annual report, it said its products have now "served in 104 countries". It entered the EU in 2016 after signing a deal with the Czech rail operator to supply three electric multiple units for €20 million and has since been competing for public tender contracts across the bloc. The merger would have seen Alstom and Siemens sit on a €15 billion annual turnover. Who was against the deal? The proposed deal was criticised by multiple national competition agencies including that of Germany, Britain, Spain, Belgium and the Netherlands. The Australian Competition and Consumer Commission had also lodged a formal complaint about the merger to the EU Commission over concerns that lowered competition would lead to higher prices for heavy rail-signaling projects in the country. Who was for the deal? Alstom said in a statement that it "regrets" today's decision and described it as "a clear setback for industry in Europe". "Alstom, together with Siemens, is convinced that the transaction would have created substantial value for the global mobility sector, the European railway industry, customers, travellers and commuters, without harming European competition," it added. In a separate statement, Siemens said the decision "proves that Europe urgently needs structural reform in the way it shapes its industrial future in a globally connected world." "Protecting customer interests locally must not mean that Europe cannot be on a level playing field with leading nations like China, the United States and others," it went on. French Prime Minister Edouard Philippe told MPs the decision to block the merger was "wrong" and "based on inaccurate assumptions." "We must rebuild competition law as it is implemented in the EU", Philippe said, adding Brussels' move reflected "extravagant, outdated legal concepts". Meanwhile, French Economy Minister Bruno Le Maire described the decision as an "economic error" and a "political mistake" on Wednesday morning in an interview with France 2. He added that the move will "serve China's economic and industrial interests" and that it "prevents Alstom and Siemens from having the same weight as its Chinese competitors." However, rival Bombardier welcomed the EU Commission's ruling, arguing the merger "would have severely undermined the health and competitiveness of the whole European rail market". Labour unions, which feared the merger would destroy jobs, were also among those who opposed the Siemens-Alstom rail deal. Later on Wednesday, Le Maire told journalists that the French government was going to "consider options for Alstom's consolidation."